Tonight we celebrate the Feast Day of St. Brigid, as well as Candlemas, both of which celebrate the light coming back into our hearts and our world. 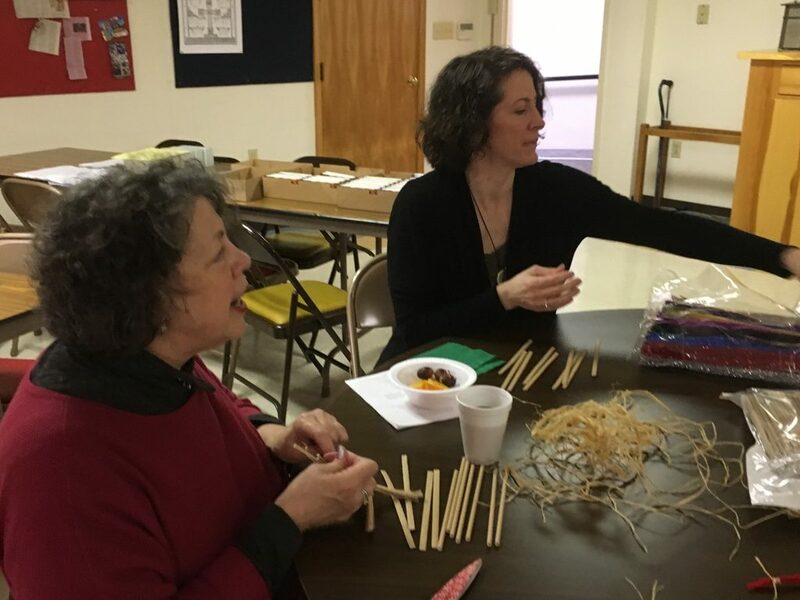 Last Sunday, in preparation for our service this evening, we made St. .Brigid Crosses. There are many legends associated with St. Brigid, but one is that she converted the powerful of her time, especially one ruler, on his death bed, grabbed pieces from the straw rug below, and from the strands, formed a cross. St. Brigid is known for her love and care of the poor and suffering as well as a leader in the church. You are all welcome to come this evening and enjoy the new light and sense of hopefulness in our hearts as we welcome the revelation of Jesus in our lives, during this season of Epiphany and a woman saint who is one of our spiritual ancestors.